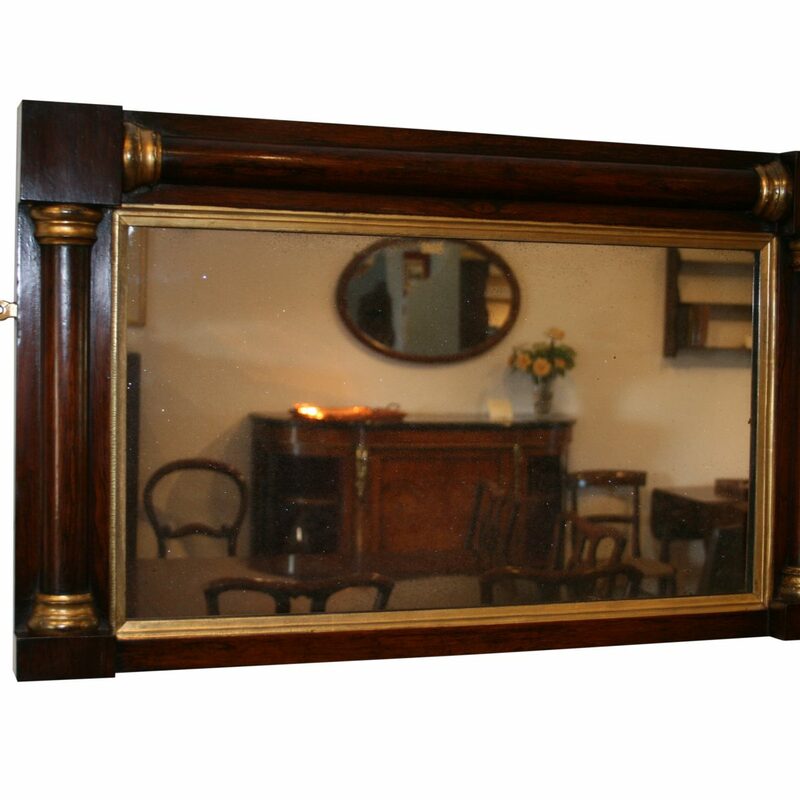 A Rosewood over mantle mirror. 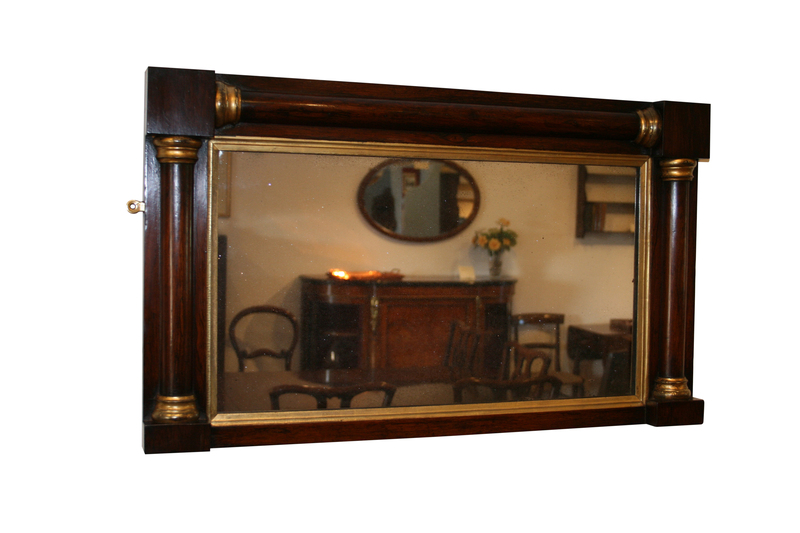 The top and side sections of the mirror have turned columns, which terminate in gilded capitals. 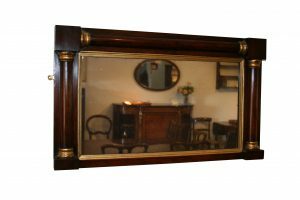 The mirror plate is surrounded by a gilt slip.